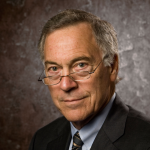 Steve H. Hanke is a Professor of Applied Economics at The Johns Hopkins University in Baltimore. He is also a Senior Fellow and the Director of the Troubled Currencies Project at the Cato Institute in Washington, D.C. He is one of the world's leading "currency doctors." His currency reforms have stopped many hyperinflations in their tracks. 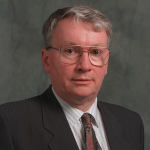 Richard Conn Henry is a Professor of Physics and Astronomy at Johns Hopkins University and has authored hundreds of publications on the topics of astrophysics and various forms of astronomy including optical, radio, ultraviolet, and X-ray.